New Atletico de Madrid signing Alvaro Morata should make his home LaLiga debut in Saturday’s city derby against his former club Real Madrid, a dream scenario for all those who love a bit of drama and football romance. But here are five players who made a really big impression on both sides of the derby divide, leading to mixed emotions throughout the city. 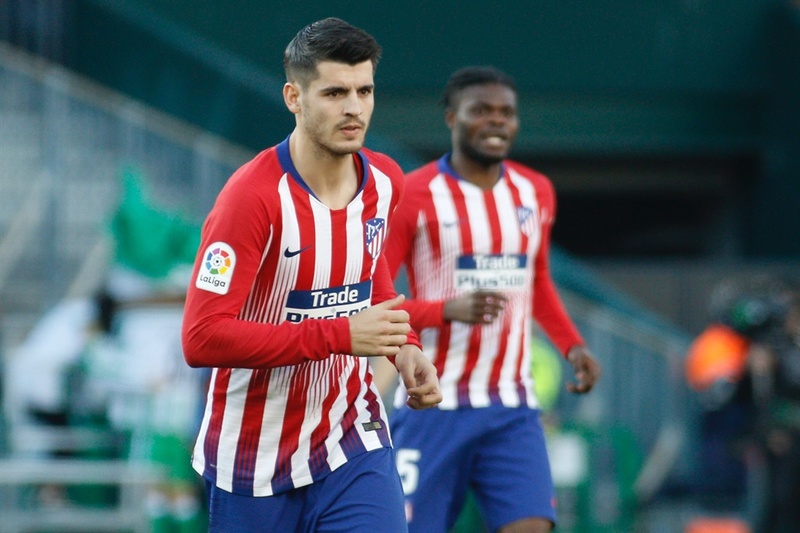 Morata’s arrival at Atletico de Madrid from Chelsea on an 18-month loan deal has caused plenty of debate, with the new signing being keen to talk about his boyhood as a rojiblanco fan and time in Atletico’s youth ranks as a youngster. Los Blancos fans will of course remember that Morata made his senior debut for their side, scoring 25 goals in 63 LaLiga Santander appearances, and winning 10 trophies with the Bernabeu outfit including the 2011/12 and 2016/17 titles. During that time, Morata played twice in LaLiga for Real against Atletico, without finding the net, with one win for each side. Real Madrid coach Santi Solari has made his love of the Bernabeu side very clear since taking over on the bench from Julen Lopetegui last October, although it mustn’t be forgotten that the former Argentina international played his first LaLiga season across the city at Atletico. Solari arrived at Atleti from River Plate in January 1999 and scored six goals in 36 LaLiga games during 18 months wearing the rojiblanco colours. After joining cross-city rivals Real in 2000, the versatile left-sided midfielder scored 10 goals and provided seven assists in 130 games, winning seven trophies including LaLiga Santander titles in 2000/01 and 2002/03, before leaving for Inter Milan in summer 2005. The Argentine has an enviable unbeaten record in LaLiga derbies… on both sides of the divide. Three games with Atletico featured two victories and a goal in a 1-1 draw. He then won all four games with Real, scoring twice against his former club. Real Madrid goalkeeper Thibaut Courtois also knows what it is like on both sides of the derby divide. During his three seasons at Atletico, Courtois played 111 league games, keeping an impressive 56 clean sheets and winning the LaLiga Santander title alongside Filipe Luis and Juanfran in 2013/14. The Belgium international played in six LaLiga derbies, being sent off in his first meeting with Madrid at the Bernabeu in November 2011. Former Mexico international Hugo Sanchez is another Latin American who played his first LaLiga seasons with Atletico, before going on to more fame and fortune across the city at Real. Sanchez was a regular in an Atletico shirt between 1981 and 1985, then spent seven years at the Bernabeu, winning LaLiga titles in each of his first five seasons with Los Blancos. He remains the only player to have won LaLiga’s ‘pichichi’ top scorer award while playing at both clubs. The powerful centre-forward scored twice in an Atletico shirt against Real, including one in a famous 4-0 victory at the Bernabeu in 84/85. After the switch, he found the net twice in nine more derbies. Later in his career he spent the 1992/93 season at a third Madrid club, Rayo Vallecano. Like Morata, Raul started out in Atletico’s youth system and came to prominence at Real, although in his case there was no chance of an emotional return later in his career. Forever associated with the Bernabeu club, Raul is Madrid’s all-time record LaLiga appearance holder, with 550 games between 1994 and 2010. A six-time LaLiga Santander winner, his 228 goals in the competition was also a club record until passed by Cristiano Ronaldo in 2015. Raul’s first LaLiga goal came in a 4-2 derby win when he was still just 17. A total of 27 games against Atletico brought 11 goals, seven assists and just two defeats over 16 years. 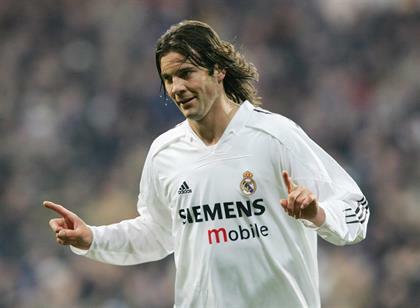 The Madrid native is now back at the Bernabeu as a youth team coach.